Welcome to Wrestling Inc’s coverage of ROH TV. We’re just a week and a half away from Final Battle, and we’ll have full, live coverage of the PPV on December 18! On to the show! Fish kicks BCB on a test of strength attempt, the struggles to take Bruiser off of his feet. ReDRagon double team BCB until Silas tags in and gets beat up too. Fish manages a suplex, but only gets a one count. ReDRagon then one-up each other with big knees to Young until he gouges O’Reilly’s eyes. Young manages to make the tag as Adam Cole joins the commentary booth. BCB kills Kyle with a big cannonball in the corner, and the heels work O’Reilly over. Finally Fish gets a hot tag, which sees Fish hit Young with an exploder suplex into the corner, which gets two. Meanwhile, BCB clips Kyle with a lariat. Fish came right back with a dragon screw, but walks into a DDT from Young. BCB misses a top rope splash, causing the boys to get on the apron and get booted. Kyle then dives onto one of the boys and the Bruiser. Young hits Fish with Misery, but the ref is late on the count and it only gets a two count. O’Reilly applies a guillotine and won’t let it go. They finish Young off with the Two Man Smash Machine and Chasing the Dragon for the win. Cole gets in O’Reilly’s face after the match, while Silas Young makes The Boys attack the ref. Silas looks proud of them. Dalton Castle comes out to reclaim his Boys, but they leave with Silas Young. – Chris Sabin is in the ring with a mic and says the man in the red mask stole his gimmick and cost Addiction the tag titles. He demands the man to come out. The masked man comes out and reveals himself as Alex Shelley, which got a great reaction. Sabin left the ring as Shelley would be in the ring. Bobby Fish is on commentary for this match. Walker overpowers Strong, but eats a big heel kick. Walker catches Strong outside the ring and slammed Roderick into the ring post. Back in the ring, Walker only gets a one, and goes back to working over Strong. Walker lands a big spinebuster and a lariat. Strong escapes a powerbomb and counters with a dropkick. Walker kicks out of an Olympic Slam, but walks into a Sick Kick. Strong wins, good showing for Walker. – We see this week’s edition of Inside ROH with Mandy Leone, where she covers Survival of the Fittest. ANX are in the booth for this match. It’s weird not having Corino around for Young Bucks matches. The team shake hands, and a chain wrestling series leads to a shoving match between both two teams. The Bucks land big superkicks on both Briscoes to gain control in the match, and follow up with dives to the outside. The two teams go back and forth brawling until the Briscoes isolate Nick Jackson in the middle of the ring ahead of a commercial. Matt then gets worked over until he hits Mark Briscoe with a big superkick, allowing Nick to take out Jay with springboard kick. Nick gets the hot tag and lands a cutter from the top rope, but can’t get the pin. 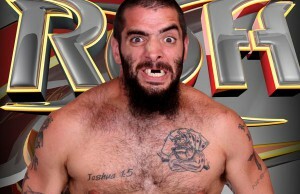 Mark Briscoe does Redneck Kung Fu, but opens him up for another superkick. Mark fell right into Jay, which counts as a legal tag. Jay runs wild until eating a springboard facebuster from Nick Jackson. 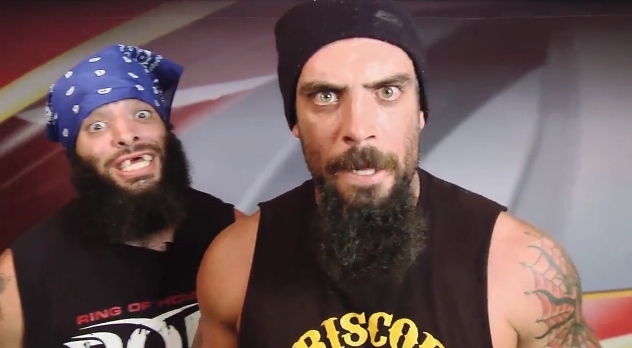 Mark Briscoe is back with a Blockbuster outside the ring. Matt superkicks him in the face while going for a Cactus Jack elbow. Nick stops a Jay Driller with a superkick, but Jay delivers one of his own and both men collapse. Jay is slugging it out with both members of the Young Bucks. Mark pulls Nick out of the ring and hits Matt with a froggy elbow. Nick impressively flips out of a Doomsday Device, and the Bucks take the Briscoes out with superkicks. Indytaker on Jay, but it gets broken up by Jay. More Bang For Your Buck gets the job done. Bucks win. ANX come in and a huge brawl breaks out to close the show.